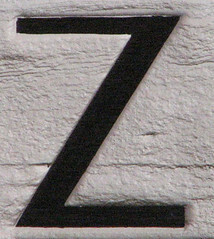 There’s something fascinating about the letter Z. It’s the slashing mark of Zorro, the end of the line. A name that starts there seems exotic, daring, a tiny bit more interesting than one that starts with C or J or R.
Plenty of Z names have been profiled here over the past four years, and it seems like a good moment to stop and review those zippy – and fetching – Z names. Cruz – The Beckhams put this name on the map. Great for the hero of a romance novel, possibly tough to see on a small boy. But Cruz does have a long history of use, long before the celebrity couple considered the name. Ezekiel – Possibly the name to watch from this list, Ezekiel has been the preferred formal name for parents who want to call their boy Zeke. Some, of course, are just opting for Zeke on the birth certificate. Fritz – He’s German and vaguely feline, but if Frederick makes a comeback, he could become an unexpected go-to short form. Xavier – Sometimes respelled Zavier, he’s a saintly surname with a very modern vibe. Indecisive? Xzavier has been seen, too – though the Xz feels excessive. Zane – With little cowboys answering to Gage and Cade, no wonder Zane has seen steady use in the last few years. He’s also a possible short form of the oh-so popular Alexander. Alexander’s last two syllables have also given us Xander and Zander in recent years. Zarek – A Slavic diminutive with a sci-fi vibe, Zarek seems unlikely to catch on – but with his similarity to Derek, he might still be wearable. Zebedee – A New Testament fisherman, this name is wildly different. And yet, with Elijah and Isaiah in the US Top 1000, he no longer feels outlandish. Short form Zeb feels very cool, too. Zebulon – Not quite as rare as Zebedee, and just as valid a way to get to Zeb, Zebulon Pike lends this name some mountain-climbing cool. 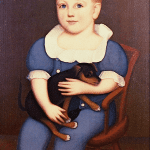 There are a handful of colonial Zebulons, too, making this name right at home with Nathaniel. 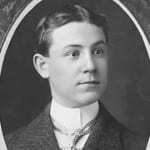 Zenas – A New Testament lawyer turned evangelist and eventually a saint, Zenas surfaces from time to time, but seems likely to remain the rarest of the Z names. Zephyr – A nature name thanks to the Greek god of the west wind, Zephyr shortens to Zef – Jeff with a Z. He’s most often use as a name for a train or a car or a motorcycle, but between his zippy z and his -r ending, Zephyr might suit a twenty-first century boy just fine. 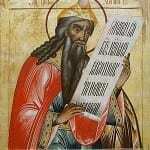 Zedekiah – Another Zed name, at home in the colonial era or our modern-day, very Biblical moment. Zoltan – A Hungarian appellation sometimes worn by animatronic fortune tellers in amusement park machines, Zoltan is one of those names – eye-poppingly strange at first glance, but quickly blending in to the current group of ends-in-n boys’ names. Are there other Z names that you would consider? Zosimo, Zenith, Zelimir, Zeal, Zakynthos and Zimri are my favourites that haven’t been mentioned, and Zephyr is a huge favourite as well! Oh, Lazslo – love Lazslo! Horizon? That’s SO daring. I don’t think I’ve ever heard it suggested before. Love it! 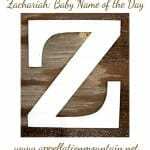 Z names are so cool – Zakkiah is one gaining ground here, the Arabic form of Zachary. I love Zeke and Zane. I guess you don’t have the phrase, “On the Fritz”, meaning “not working, useless, ruined” which would render this name a no-no in other places. I love Old Testament names like Boaz, Eleazar, Jabez, but a lot of Z- names have too much of a Sci-fi vibe (a la Zaius, Zaphod and Zod.) Even though Zebedee and Zebulon are fun to say, I can’t imagine them on an actual child. I so love Fritz! I know a little Fritz, actually. I’m pretty sure his actual name is Frederick, sibling to Curtis and Margaret. If one wants to coordinate Z sounds within a sib set, I really like paring something ending in -z with something starting with Z. Fritz and Zelda (though she’s not a boy) are perfection, I think! I know it’s massively unpopular because of its Dickensian connotations, but Ebenezer is a name with a long history in my family that has really grown on me, and I think the nickname Eben is really lovely. Depending on the number of kids I have, it’s definitely something I’d consider naming a son. I know a boys named Zenith, Zayden and Zyler. I find the letter Z pretty interesting as far as boys names are concerned. Not starting with Z, but containing one, I know boys named Ezra, Kenzie, Azure and Ezekiel – although I prefer Zeke. Zeb, whether you arrive at it via Zebulon, Zebedee or Zebediah is my favorite Z name. I like to suggest Zarek on name boards whenever parents say they want something unusual / rare / unique – and I always include the link to your write-up. And, I’m with @dreadedjaws about Azalea and Zinnia – perfect names for those who want something other than Lily, Rose or Daisy. Zane (and Zain) are really popular among Arabs and Muslims; I know 4 Zanes, all different ages. Zedekiah nn Zed and Zebediah nn Zeb are my favorite Z names ever!! Though I admit to having a thing for names ending in -iah. I also love Hezekiah as another way to get to Zeke. Ziyad is another Z name I love, though I doubt its crossover potential. Hubby likes Xavier. I went to college with a guy named [email protected] [email protected] F– and I think RXF are some of the coolest initials I’ve seen. I stinking love Zebedee… it’s beyond fun to say! Zeb, Zed and Zee as nns? Yeah, Zebedee is my favorite Z.
Zephyr is also pretty cool, although a local high school teams growing up were “The Zephyrs” so it’s not one for me personally (it would just feel weird). As for Xzavier – I came across one once and his name was said “ex-zayvyer,” so I have since assumed that the spelling was to signify that you want people to pronounce the X as X. I do like Xavier (not with the X pronunciation), but it makes me think of Cabbage Patch dolls’ butts… which I find kinda disturbing on some level… ah, thank you 80s. And I’m completely all about Azalea and Zinnia lately for girls…. So, I have a Z thing I guess. I love love LOVE the name Ozias, nickname Oz or Ozzie. Pronounced oh-ZYE-as. Like Tobias, but with an edge. I rather like Z names on boys, although I don’t actually see myself using one. I have friends with sons named: Zephaniah (goes by Zephy), Zechariah, Zephan, and, of course, Zachary. I think my favourite of the bunch is Zephan. Another “Zeb” name is Zebediah. Nice biblical sound with the catchy Zeb nn. I also met a boy named Zade. Don’t know if it was short for Zaden or not, but he was far too old (about 19) for the current crop of -adens. Even though it’s a diminutive, I’ve seen Zander used independently lately. Seconding Enzo and suggesting Ignazio and Kazimierz as well. I know a Zander, born 2 months ago! My favorite would have to be the unlisted, Ezra! I spotted a baby Ezra yesterday at the pediatrician’s office (thankfully a boy)…I also spotted TWO little girls named Rain/Rayne. Zion is also another Z name I’ve seen popping up, amongst both boys and girls. For some reason, it’s starting to irritate me whenever I see a 3, 4, 5 year old Zion. Especially when their parents aren’t in the least religious. Some other names I’ve come across are Blaz, Patriz, Ozer, Ozro, Denzil and Ezell. We have an Ezekiel in our family, but he goes by Kiel instead of Zeke. I do like ‘Z’ names, as long as they don’t sound like they are trying too hard. I’ve known a Zarek, a Zane, and a Ziggy. I don’t really like any of these, but I do like Frederick. Love these, although most of them feel more appropriate for fiction. I think Zarek might be a new love. I really do like the name Zephyr, we don’t have railways called that here in the UK, so it’s not an issue. Fritz, on the other hand, just wouldn’t work here. Other male Z names I can think of are Enzo, Ezra and Jabez. Also know of a Zephyr locally. I totally like Zebedee. It does bring ‘The Magic Roundabout’ to my mind first, but when it showed up in the scripture reading at church one day, I was like “Hey, we should use Zebedee!” to my husband. He said no. Maybe I should have pushed for it as a middle name. Though George Zebedee does sound a little strange. Being able to put Z. as your middle initial might be fun. We were also looking for a fun middle initial… but we ended up with our two favorite names…. and G for George is awesome up front or in the middle! I like Zephyr. Unexpected but zippy. I actually like Ziggy, which is some times used as a shortening of Zachary. Plus Ziggy Marley is just cool. I love Z names! You covered all my favorite boys’ ones…Zebedee and Zebulon are my favorites. I’ve known a Zane before, I thought it was really cool to meet one! The only name on the list I don’t particularly care for is Cruz… it has too many connotations like cruise ship, going for a cruise, cruisin for a bruisin…no thanks.